Happy Halloween! 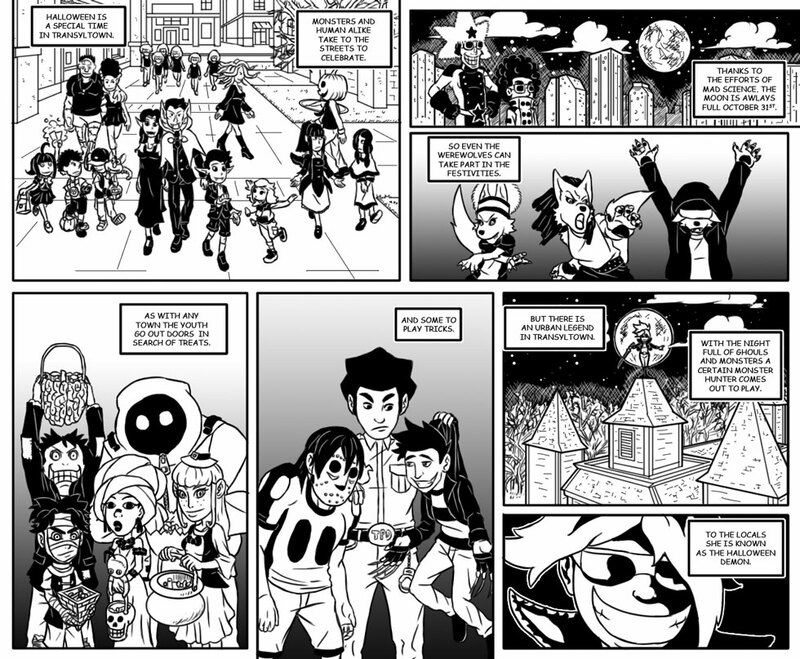 This special strip actually features a lot of characters that will appear in the future, and some just for fun! As a reminder: I won’t be doing the weekly vote incentives for a while. I’m on a freelance job that’s gonna demand a lot of attention. I it affect Transyltown’s schedule, but if it goes well I may be working a better day job! Thanks a million to those who do vote, and by all means, please continue to. Awesome Strip dood. Happy Spooky day! Have fun with your job! don’t over work your self! Thanks, as always, buddy. Don’t worry. I won’t over do it. Good luck on the new job and agreed very nice Halloween theme. The one time when the monsters and the humans can mingle in total peace.